Another picture from scouting for the video for One Billion Rising in Second Life. Today we were looking for a landscape for a petite section – our plan is that for the instrumental bridge, we’ll be using some Second Life fantasy characters – tinies, mermaids, dragons and petites. So I went scouting for a beautiful landscape to showcase them in. 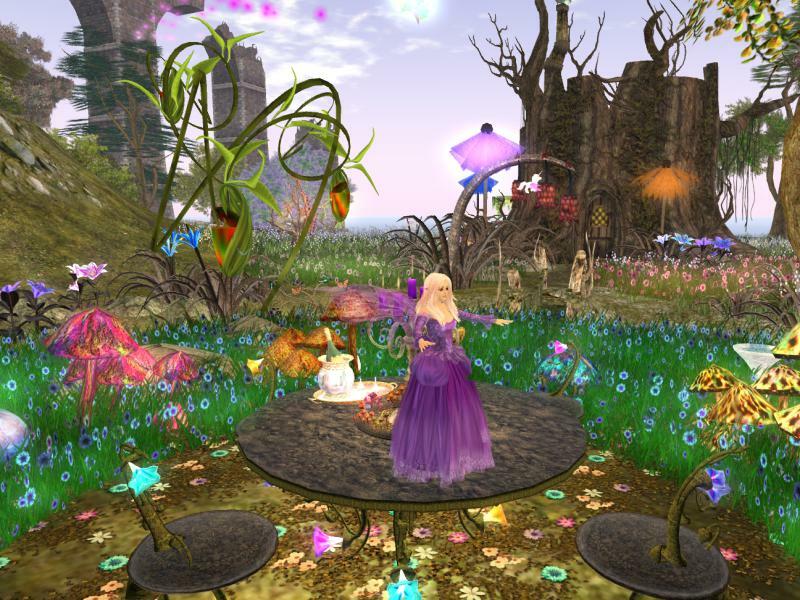 And, of course, it was not hard to find the lovely fairy glade in The Looking Glass, the beautiful sim created by Marcus Inkpen and Sharni Azalee. If you have a female petite and would like to join us for the dance, contact Samantha Ohrberg inworld. We’ll be filming this Wednesday 2 – 3pm. But for now … let’s do the jigsaw! Next Post: LEA AIRS Round 4 Applications Now Open!